Read another story about Zelindo. The national dish of East Timor is Ikan Pepes (Ikan means “fish,” and pepes is the cooking technique), fish steamed with chili sauce in a banana leaf. According to legend, Timor was formed after a crocodile transformed into an island as compensation to a boy who helped the crocodile while it was unwell. The boy’s descendants are supposedly the natives of Timor. Wildlife in East Timor includes the cuscus (a species of marsupial), monkeys, deer, civet cats, snakes, and crocodiles. To Sabbath School teachers: This story is for Sabbath, Dec. 8. Zelindo was a troublemaker in East Timor. He loved to drink, smoke, and gamble. He got tattoos and started a street gang. He went to church every Sunday but felt miserable. At the age of 21, he suddenly was overcome with an irresistible desire to read the Bible. He didn’t own a Bible, so he texted his sister in Surabaya, an Indonesian city located 900 miles (1,400 kilometers) to the west. “Can you buy a Bible and send it to me?” he asked. Two weeks later he received the Bible, and he read it from Genesis to Revelation in a month. But he didn’t understand what he read. He read the Bible a second and a third time, but still he didn’t understand it. “Why do we have carved images in my church?” he wondered. He kept worshipping on Sundays and reading the Bible every night for three years. He also got married and opened two shops. One day, a Seventh-day Adventist, Thomas Lopes, entered one of his shops and sold him a book called “The Almost Forgotten Day” by evangelist Mark Finley. Zelindo was shocked to read that Saturday is the biblical Sabbath. He found Thomas’ phone number written in the back of the book and asked him to return to the shop. Thomas didn’t give a direct answer. “Read the Bible, and allow the Holy Spirit to answer you,” he said. Then he had his answer. The Bible describes Sunday as the first day of the week. The next Saturday, he closed his shops and attended the Saturday morning service at his church. After a few weeks, the priest approached Zelindo after the Saturday morning service. “My understanding is Saturday is the right day of worship, not Sunday,” Zelindo said. “No, it’s Sunday,” the priest said. The words filled him with fear. He realized that God forbids the worship of carved images, and he decided not to worship them anymore. When the priest arrived at his home, Zelindo asked many questions about carved images and the Sabbath. Zelindo wasn’t convinced. After reading the Bible so many times, he understood that belief must be backed up by action. He became an Adventist. 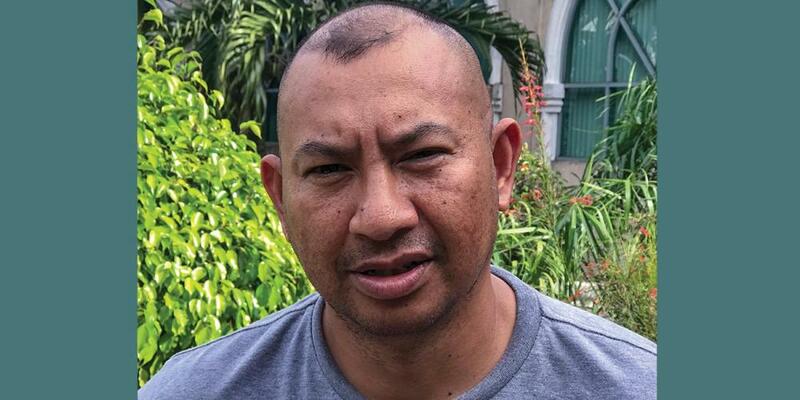 Four years later, he is a prominent church member in East Timor, and he has led many people to baptism. Part of a 2015 Thirteenth Sabbath Offering helped build the first Seventh-day Adventist school in East Timor’s capital, Dili. Thank you for your mission offering.